Large commercial trucks weigh on average 80,000 pounds. When a vehicle that size crashes into an average passenger vehicle weighing around 3,000 pounds, it typically results in life-altering injuries, sometimes with someone losing their life. Where do you Start When You Have Been in a Truck Accident? What exactly is a large commercial truck? How are truck accidents different from car accidents? To help you start to make sense of it all, here are some frequently asked questions about truck accidents. To find out more about how this applies to your situation, contact the knowledgeable truck accident attorneys at Nash & Franciskato for a free, no-obligation review of your case. A commercial truck, also commonly referred to as semi trucks, big rigs, 18-wheelers and more, is a motor vehicle (or combination of motor vehicles) used in commerce to transport passengers or commercial goods. While this does include semi trucks, big rigs and 18-wheelers, it also includes delivery vehicles, tanker trucks and other large freight trucks. How is an accident involving a large commercial truck different from a car accident? Commercial truck drivers must meet higher safety standards than other motor vehicle drivers. Truck drivers are subject to limits on the number of hours they can drive in any given day. Truck drivers are subject to testing for drugs and alcohol. Trucking companies have a responsibility to perform background checks prior to hiring drivers and should be evaluating existing drivers on a periodic basis. Large commercial trucks travel in interstate commerce and, as such, are subject to federal regulations that do not apply to other motor vehicles. Violations of these regulations can provide the basis for establishing fault on the part of the trucking company and its driver. Drivers of large commercial trucks must keep a logbook and by law may only drive a certain number of hours per day It is important to establish whether the logbook was properly kept and whether the driver was within the allotted hours of service when the accident occurred. It can be difficult to discover; however, the truck accident attorneys at Nash & Franciskato know how to identify when truck drivers have violated these regulations. Who oversees and regulates the operation of commercial trucks? Federal laws and regulations govern our nation’s trucking industry. These regulations, the bulk of which can be found in Title 49 of the Code of Federal Regulations, establish standards that trucking companies, owner and drivers must meet. The U.S. Department of Transportation and the Federal Motor Carrier Safety Administration (FMCSA) regulate the truck driving industry. In addition, every state also has its own department of transportation. The FMCSA website sets forth the regulations governing commercial motor vehicles and trucking companies and provides current safety data regarding trucking companies. What are the most common causes of large truck accidents? Human error is probably the most common cause of trucking accidents. A fully-loaded semi-truck can weigh up to 80,000 pounds making it very difficult to control in adverse conditions. 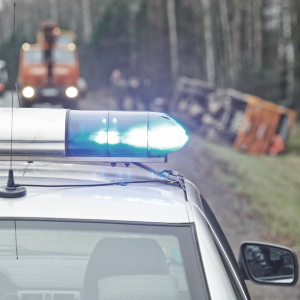 What should you do to protect your rights after a truck accident? Obtaining legal representation is highly recommended. Accidents involving large commercial trucks are complicated and a knowledgeable truck accident attorney will help you understand your legal options. When you hire an attorney to represent you, make sure that all communications go through him or her. It is easy for your statements to be misconstrued or twisted to mean something different. The truck accident attorneys at Nash & Franciskato will advise you on the course of action to take, help determine who is at fault, answer questions, work to obtain you the maximum amount of compensation possible, and much more. Who could be held liable in a truck accident case? When you choose to work with the truck accident attorneys at Nash & Franciskato, you benefit from the insight attorney Dean Nash gained while representing a major trucking company, an advantage in your favor. You can trust the attorneys at Nash & Franciskato will build a case that addresses your full range of injuries and expenses. When is a truck driver considered negligent? The truck accident attorneys at Nash & Franciskato thoroughly investigate your accident, establishing negligence, determining who might be at fault and the parties involved, while you focus on healing. What is a truck's No Zone? The “No-Zone” refers to the danger areas around commercial trucks and buses where crashes are more likely to occur. Some No-Zones are actual blind spots or areas where you car “disappears” from the view of the truck driver. These blind spots are the Side No-Zone, Rear No-Zone, and Front No-Zone areas – left and right rear quarter and directly behind the truck at a short distance. The right-side blind spot is extremely dangerous because trucks and buses make wide right turns. Jackknifing is a term that refers to the folding of a large truck so that it resembles the acute angle of a folding pocket knife, for example, when a large truck and its trailer go into a skid and the trailer swings out and stops so that the truck and trailer form a 90-degree angle. Typically, jackknifing is caused by slippery roads, when a driver takes a curve too fast or swerves to avoid other vehicles, and equipment failures. In many cases, jackknifing will cause the truck to roll over. However, just because a truck jackknifes does not necessarily mean it was due to driver error or negligence. The truck accident attorneys at Nash & Franciskato will fully investigate the evidence to determine the cause of your wreck.